Why would seeking a single term be an attractive campaign promise to voters? Obaze, who spoke with Igbo traders in Lagos State said other zones in Anambra had no cause to worry because he would not seek a second term in office. The governorship candidate was in the state as part of his campaign activities in the run-up to the election. 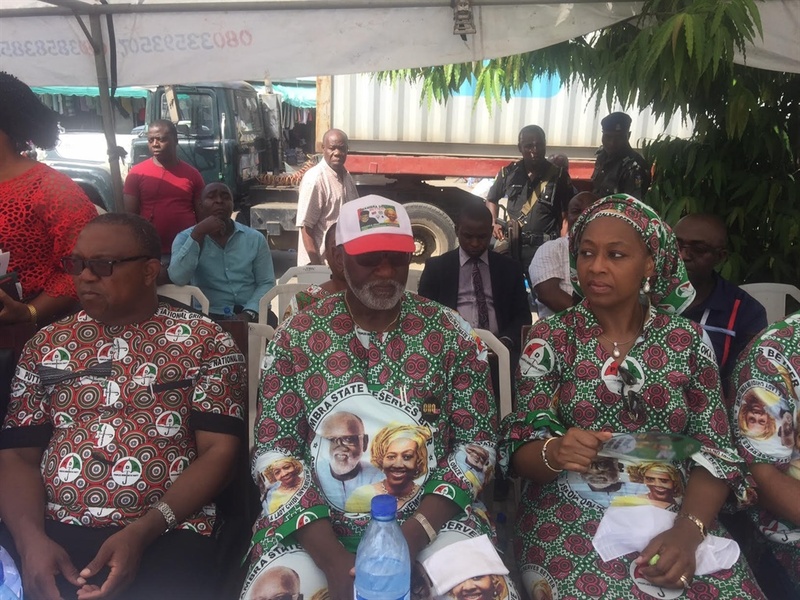 Obaze, who visited nine markets in the state was accompanied by his running mate, Alexandra Onyemelukwu and former governor of Anambra State, Peter Obi. The campaign train visited the Electronics/ Electrical market in Alaba; Balogun Business Association ( BBA); APT and ASPAMDA. In each market, Obaze's message was the same. He regretted that Governor Willie Obiano has failed not only by poor representation of the North Senatorial District, but also by total failure to sustain the gains recorded by his predecessor. Obaze regretted that all projects left by Obi had been abandoned and vowed to revive them. Obaze also pledged to explore his international connection garnered in over 20 years at the United Nations to bring back all the development partners that have since left the State. Earlier in his remarks, Obi said that though he was the one that brought Gov. Obiano out, but that as he promised while campaigning for him, that he owed it to himself and the society, the moral duty to seek his replacement after he demonstrated "gross incompetence". The campaign train was well received in all the markets visited, with each of them regretting the alleged level of lies and propaganda Obiano had spread within communities.